The links below will help you in planning your fishing & clamming adventures, by understanding the tides in advance. 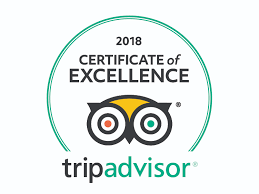 For instance, on severe minus tides you want to be clamming the beaches of Cook Inlet at Clam Gulch or Ninilchik for Alaska Razor Clams, or the beaches of Kachemak Bay for Steamer Clams, not fishing Alaskan Halibut in Cook Inlet. Flat tides, where little water is moving, is best for ocean bottom fishing, yet moving tides can be better for Saltwater King Salmon fishing. The bottom line? Know before you go! Click Here for Cook Inlet Tide Predictions by month. Want to learn more about tides in Alaska? 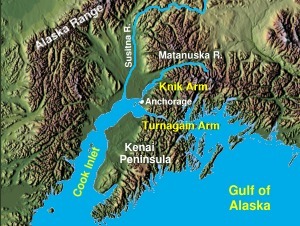 Cook Inlet has the 2nd largest tide change in the western hemisphere–right behind the Bay of Funde, Nova Scotia on the other side of the continent. Also of note, are Mt. Redoubt Volcano and Augustine Volcano in Cook Inlet, two of the most recently active volcanoes in our region. Mt. Redoubt has been experiencing steady eruptive activity since the end of January 2009, and Mt. Augustine had some minor eruptive activity during much of 2006.